I have been caught in the best kind of replay cycle for the last couple of weeks. Anyone who has played a LEGO game knows that the only way to max out the experience is to play through the game at least twice (Storyline and Free Play), so I am slowly winding towards 100% on my third playthrough of the newest LEGO game, Harry Potter Years 1-4. 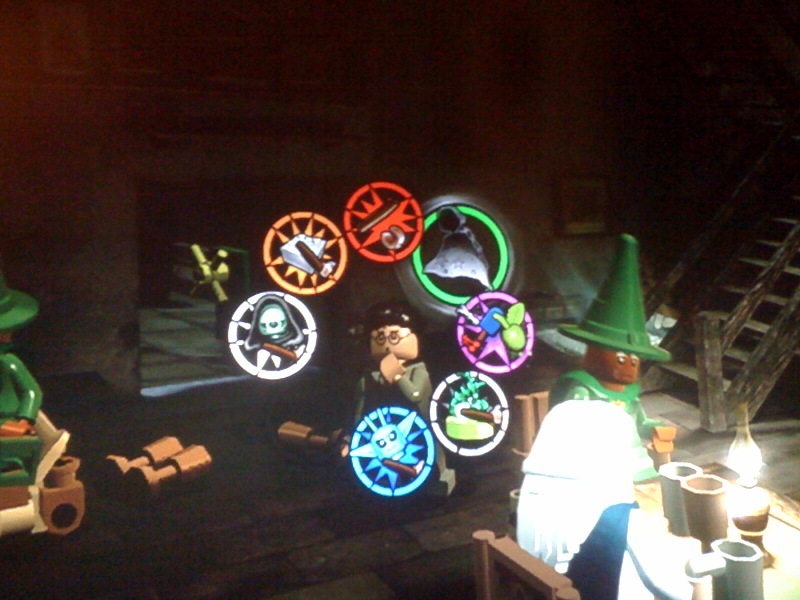 I enjoyed both the Star Wars and Indiana Jones LEGO games, so it was no real shocker that I would like Harry Potter, but I have been literally mesmerized by the LEGO version, playing night after night since its release last week without growing tired of it. With a world so chock full of heroic and wicked characters, an elaborate magical school of mischief-making and an almost limitless supply of imagination to pull from, it isn’t too hard to see why it would be great fun to play. Usually, though, LEGO games are a lesson in monotony. I have no problem admitting that they aren’t the most cerebrally engaging game series out there-no real thinking, mostly just breaking and collecting things. And then more breaking and collecting. But the adorable factor is always high and they are all built in honor of our most loveable franchises (I keep hoping for LEGO Back to the Future). Don’t even get me started on just how freaking cute the Rock Band version is-OMG, tiny LEGO zombies! But Harry Potter is simply the best. It takes all of the visual and interactive elements of the book series and creates a captivating world where you just can’t help but want to spend loads of time, even if that time is spent breaking flowers, collecting studs and playing each mini-level over and over again. But I think the most unique aspect of the game is the spell casting. In all of the LEGO games each character plays a particular kind of role-some are tiny children or creatures that can crawl into hatches to retrieve items other can’t, while some have the ability to jump higher than others to grab items or collectibles. You have to learn the fine art of switching back and forth between them constantly to complete your objective. And there is certainly some of that in HP, but really only when it comes to light vs dark objects, places to dig or a small handful of other specialties (Hermoine is better at spell casting, Harry is master of the broom). Instead of acquiring characters in order to fully achieve your goal, almost all of the magical characters in HP learn spell casting through their ‘Lessons’ at Hogwarts. Because of this all of the playable ‘students’ are advancing RPG-style at the same pace, allowing you to use only a few characters during Free Play without constantly filtering back and forth between the 8-10 the computer selects for you. Plus most levels contain a cauldron full of green florescent Polyjuice Potion to help change from person to person if need be. And the spells are fun! For example, Wingardium Leviosa/Accio is the builder spell, and all items that can interact with the spell glow purple or red (purple for good wizards, red for dark wizards). Harry waves his little LEGO wand in the air and the pieces whip around in circles until finally clicking together into shape. There are particular chests that hold unlockables that you can only acquire using Riddikulus, the spell that reduces the casters worst nightmare to its most hilarious state, leaving poor He Who Must Not Be Named swaddled on the ground with a binky in his mouth. When the caped little Dementors come to visit Hogwarts, the students learn Expecto Patronum to cast them away. And all of the spells can be easily accessed using the bumpers to pull up a ‘wheel’ as opposed to the intricate button combinations in the more serious movie tie-in games. There are even spells you can buy in Diagon Alley (the central HQ location) that give the NPC’s giant heads or different colored hairstyles. So entertaining!